The mossad bulletproof vests are the ultimate concealed bulletproof vest. While we make many concealable bulletproof vests, this vest has special extension to be used inside the pants to prevent the vest from sticking out no matter the wearer’s body position. 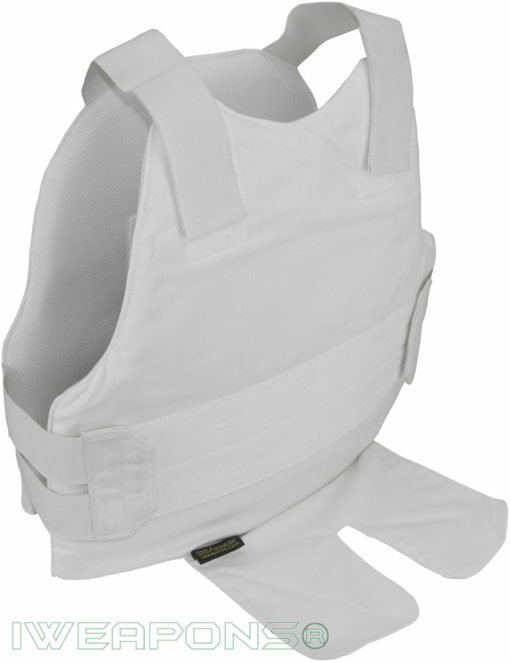 For example, when the wearer is sitting down the vest usually can be seen at the bottom, but this vest will keep the wearer’s body shape in any position. This vest remains unnoticeable not only for people in good shape but also for people with large belly. The bottom extension prevents the vest from shown at the bottom and makes the vest to remain tight to the body. We made two mossad vest models, these models slightly different from each other to allow better fit for different wearers. The mossad models come in white color for easy concealment under the cloth as regular shirt. These vests have internal mesh to allow the body to breathe when used in hot climate or for extended use.